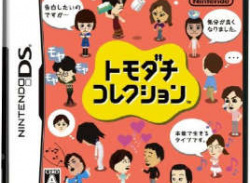 It may have taken awhile to be released, but Nintendo's highly-anticipated Tomodachi Collection had a great first day opening in Japan. Out of the 76,000 units that were shipped, 38,000 were sold on the game's first day on the market, which equates to a 50% sell-through rate. That's pretty impressive seeing as the top game last week sold only 38,000 units..